The wonders of the Grand Canyon were the last on our list of National Park scenery in the south-west, and we wanted to get across to the west coast asap. (On the way out we worked it so we got to drive through Zion National Park again, just as a farewell treat!). We spent a day pretty much just traveling on a hot, dry and dusty inter-state route to make some kms south. 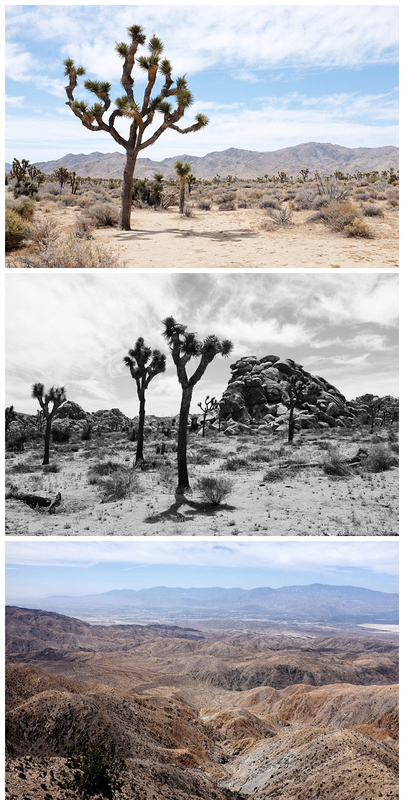 Just before the coast we decided to squeeze in a quick visit to the Joshua Tree National Park. 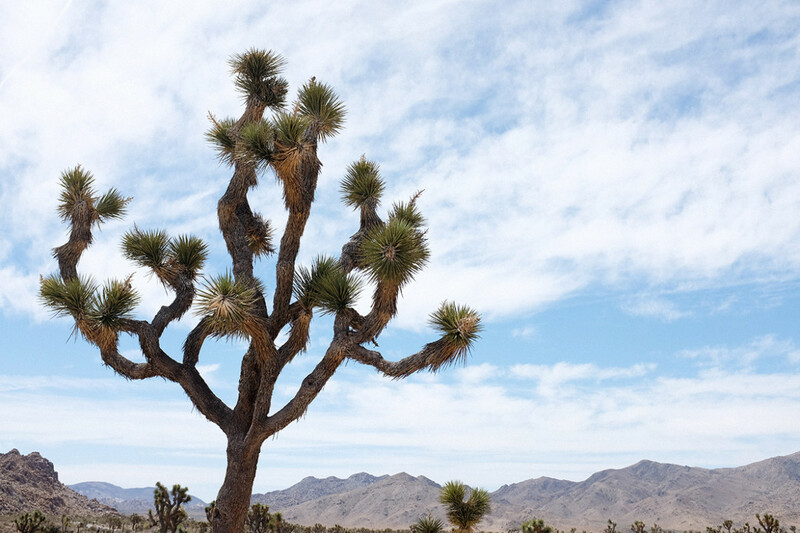 Joshua Tree NP is actually a convergence of two desert eco-systems. It is most famous, of course, for the yucca plant that gives it its name, but there are plenty of other features making it worth a visit. We particularly liked Key’s Lookout, one of the highest points of the park overlooking the mountains of the San Andreas Fault, and the town of Palm Springs. Palm Springs was the winter desert party-town for the Rat Pack, Elvis, and other famous glitterati of the 1950’s and 60’s. It fell out of fashion, and became very much a place for oldies to retire to, but has recently made something of a comeback. We spent a day there and threw ourselves into the heyday era by eating out at Ruby’s Diner, a gorgeous 1950’s retro restaurant. It was very very hot in Palm Springs, and the valley in which it sits is also incredibly windy. On the way in and out we passed literally thousands of wind turbines, which made for an unusual and awesome sight. 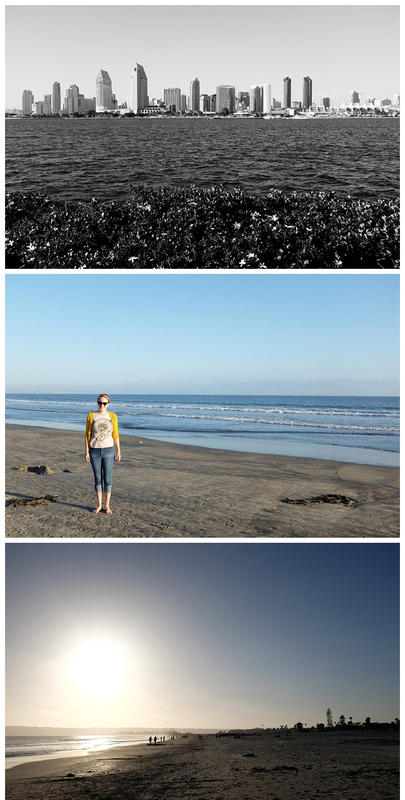 San Diego as a whole felt very relaxed, and the vibe continued as we headed up the coast through a string of beach suburbs and towns. 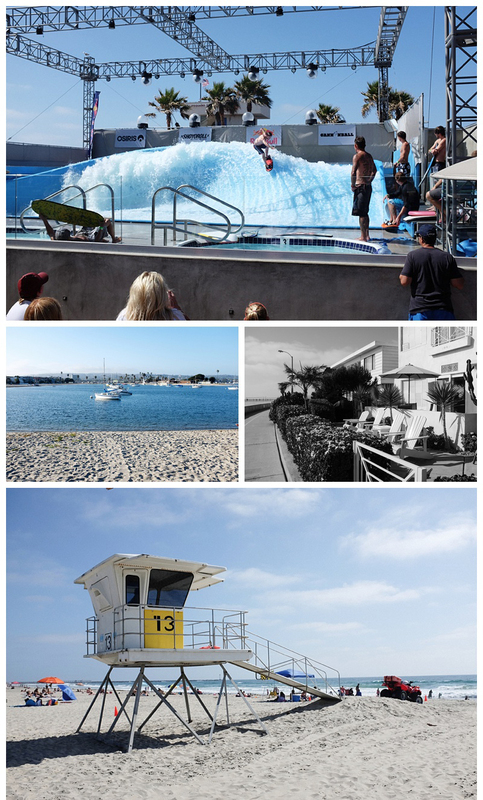 These included the beaches of Orange County, famous from all those TV shows (The OC, Laguna Beach, Arrested Development etc etc). 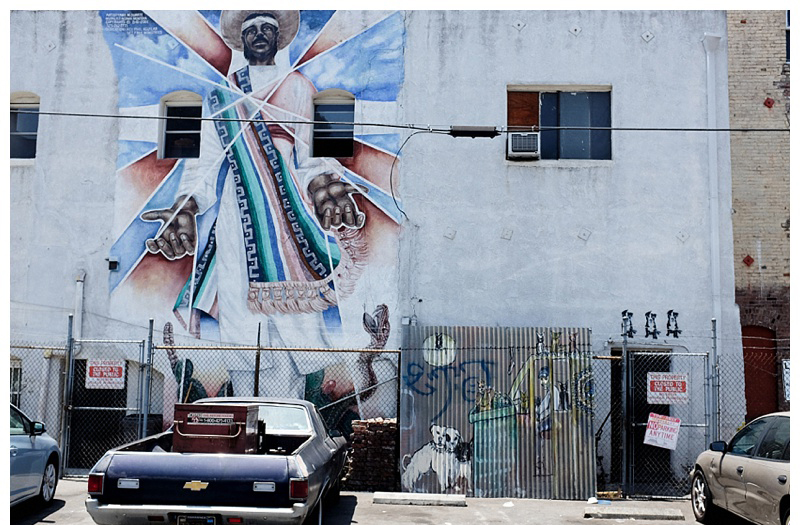 Then came Los Angeles… Now I will admit that I didn’t want to like LA – a city without a soul, all show and glitter, with its celebrity-obsessed shallow ephemeral fakeness, and clogged up smog-filled freeways. But I found myself actually quite liking the place. 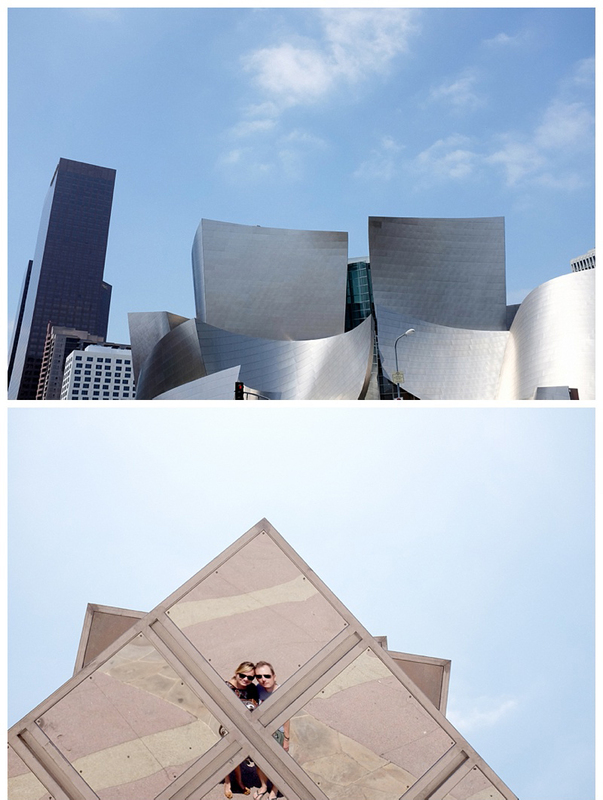 We kicked off with a wander around the downtown area, including a look at the restored art deco Union Station, City Hall, the modern-gothic Cathedral of Our Lady of Los Angeles, and the ultra-post-modern Walt Disney Concert Hall (home of the LA Philharmonic, not Donald Duck). 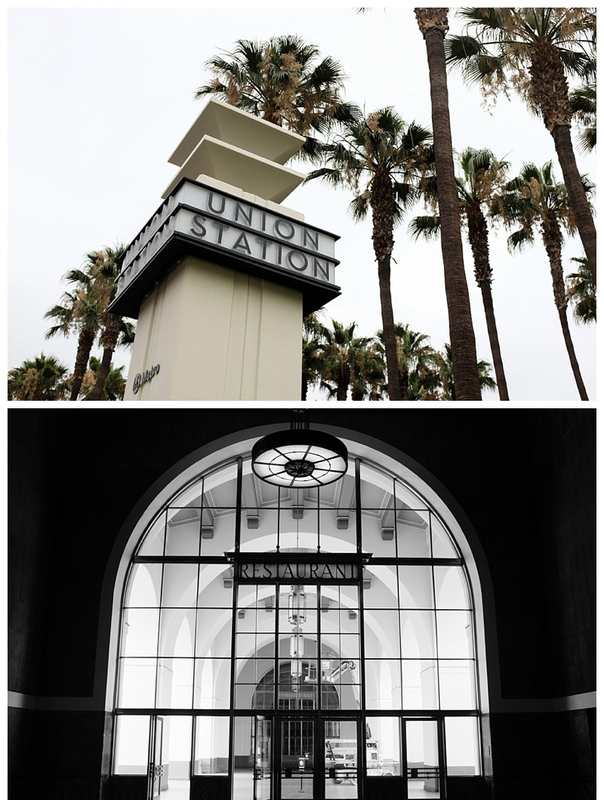 From the sublime we went to the ridiculous – well, Hollywood anyway. 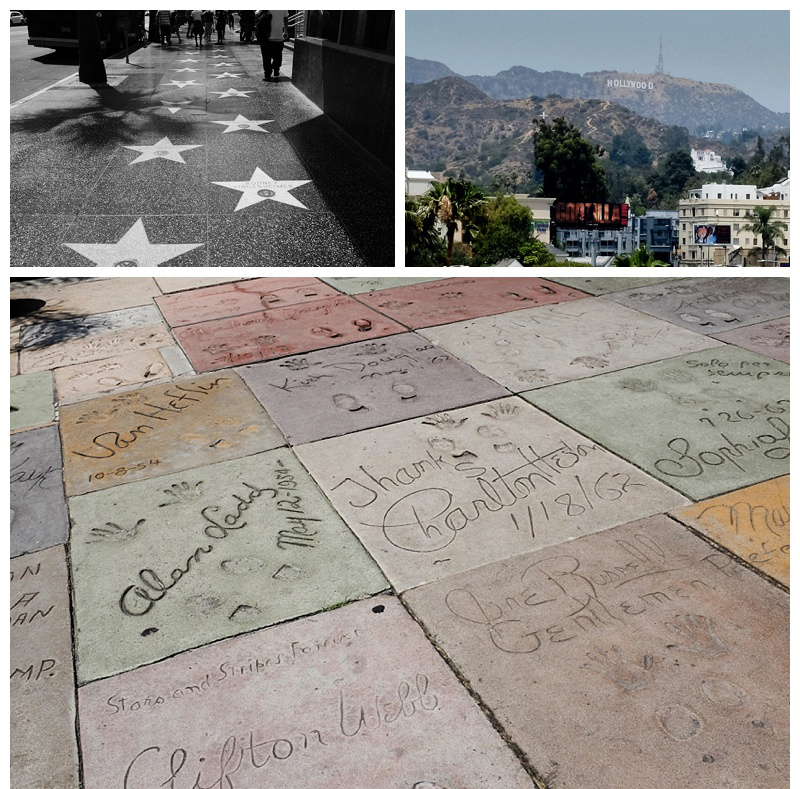 We checked out Hollywood Boulevard, the Kodak Theatre (home of the Oscars), Grauman’s Chinese Theatre (where stars from the 1950’s to today leave handprints in wet concrete) and the Walk of Fame. Hollywood Boulevard used to be pretty seedy and, while it has improved, it is still on the tacky side. And rammed full of tourists. We took a drive around nearby Beverley Hills and Mulholland Drive hoping to spot Julia Roberts or Chris Helmsworth washing their car or popping to the supermarket. Although we didn’t quite see any celebs, we did see where the other half live, in a collection of very expensive and impressive real estate. For a taste of what could have been if only I’d kept up those acting lessons, we window-shopped along world famous Rodeo Drive, just failing to bump into Leonardo DiCaprio and Paris Hilton. To escape the risk of accidentally appearing in the back of a photo in OK Magazine we found refuge in The Getty Centre. 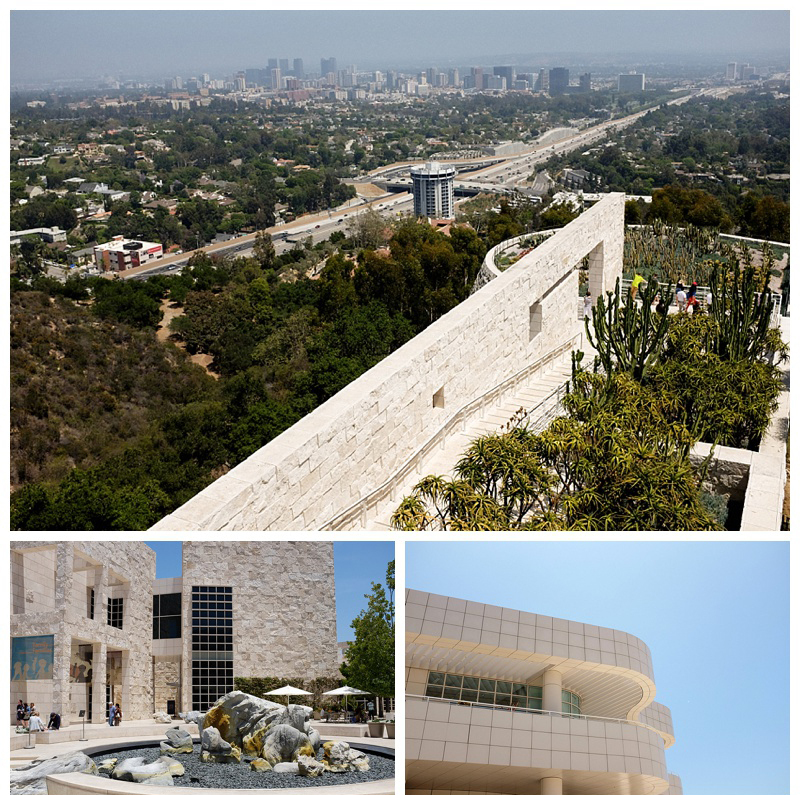 A stone’s throw from Hollywood, built on a hill overlooking the city, the Getty philanthropists have put together a wonderful collection of art from the ages – paintings, photography, furniture and ornaments. It is free to the public, and housed in a beautifully designed array of buildings, set amongst exquisite gardens, with cleverly created viewing outlooks and patios. The architecture and city views would be reason enough to visit on their own – add in the Rembrandts, priceless medieval manuscripts, 17th Century French furniture, and Van Gogh’s Irises – plus a gallery dedicated to photographer Ansell Adams, who took all those amazing b/w images of Yosemite NP – and you have something pretty special. 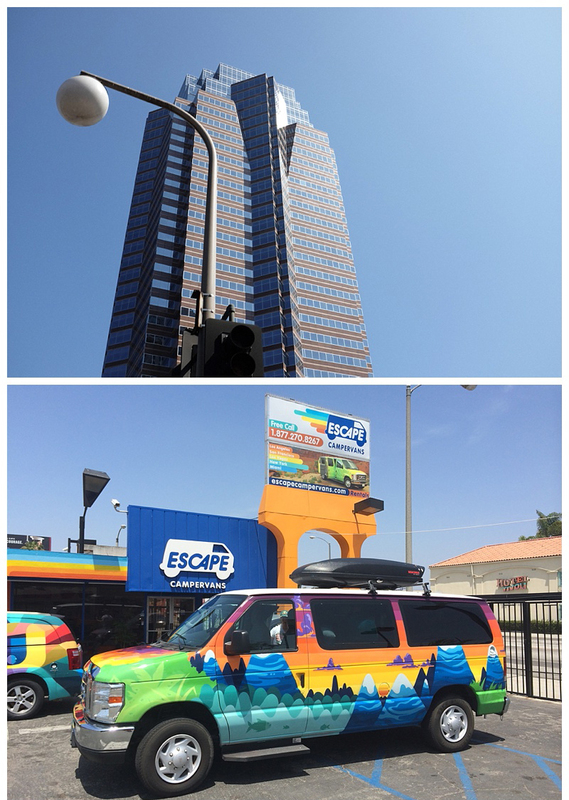 We found time to pay a flying visit to Fox Plaza, better known as Nakatomi Plaza from the first Die Hard movie – yippi-kai-eh! – and to change our Shark Tank campervan into an upgraded younger model (named Finn). 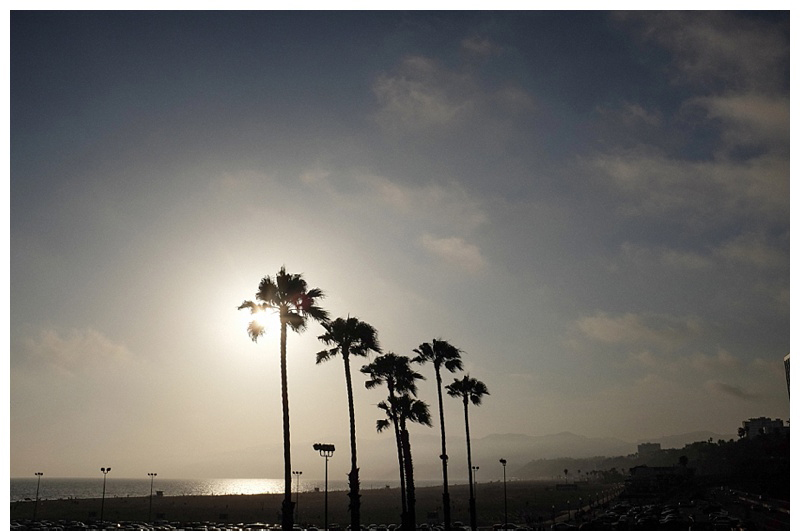 And we finished our LA tour appropriately watching the sun set over Santa Monica pier (infamous end of Route 66). There were people riding bikes, rollerblading and hanging out at the famous fun park on the end of the pier, with the place thronging with street performers and crowds. 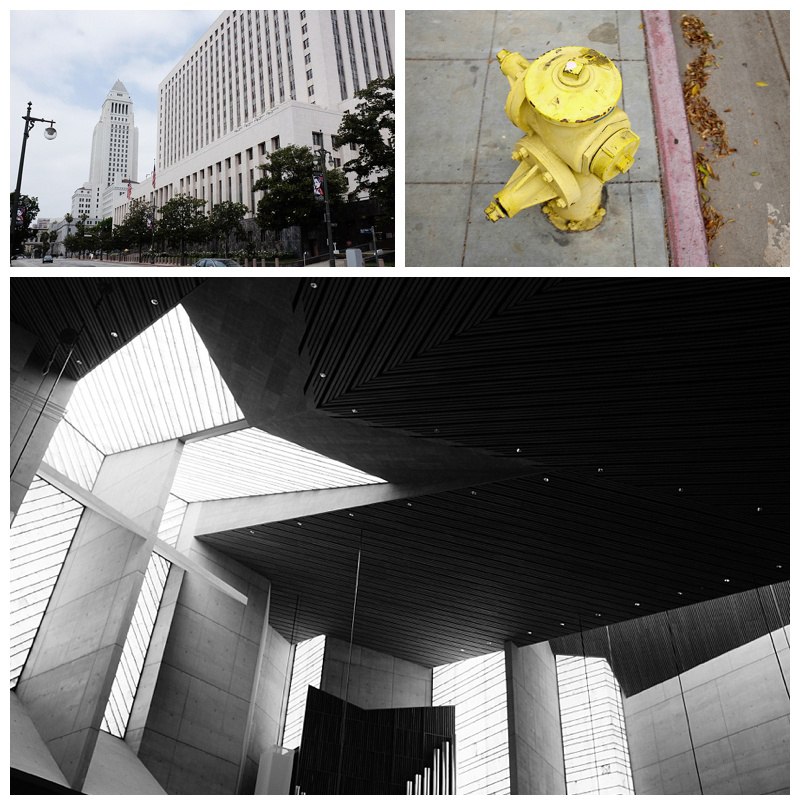 Incidentally, while driving through LA was a challenge – what with its insane system of 10 lane freeways criss-crossing the city – we actually got pretty good at it. This despite the fact that Californians in general, and LA people in particular, must be the worst lot of drivers in the world! And everyone seemed to be to be chatting on their mobile while driving. And yes, it was smog-filled, at least to an extent. The geography of the Californian (hot continent meets cold ocean current) means that the whole coast is liable to fog. Mix in the fumes of 3.8 million people who don’t walk, and you get a vast urban area under a smoggy blanket. But the sun did find it’s way through every now and then! What an amazing time you are having. It is wonderful to share some of it with you. The photos are sensational and the blogging is most informative. Pity you didn’t keep up those acting lessons David…. Actually I would see you more as a comedian !!! Your wife excelled at her acting lessons albeit for a short duration. Chris Hemsworth said he was sorry not to catch you in LA. He is in London and is happy to catch up with you and Kirralee in the last leg of your travels when you are in the UK .